Logan Bell may not be the big man on campus, but he is a busy one as a representative on the Nighthawks Entertainment board, a student ambassador on the Dahlonega Campus and an orientation leader on the Dahlonega, Gainesville and Oconee campuses. That means Bell spent his summer driving to the three campuses in the summer introducing UNG to soon-to-be freshman. "We welcomed them into college and made sure they knew everything they needed to know before they came here in the fall," Bell said. As an orientation leader, he ushered incoming freshman around campus for different informational sessions. But in Dahlonega, he supervised the soon-to-be students overnight stays, including treating them to breakfast the next day. This allowed him to connect with them and create a tie that will bind. "People from last summer still text me," Bell said. "We are really their contact for UNG and we are the ones they look up to." The 20-year-old Sugar Hill, Georgia, native said he still remembers his own orientation leaders and worked with one this summer. After his orientation work ends in the summer, Bell transitions into his student ambassador role in the fall and spring. 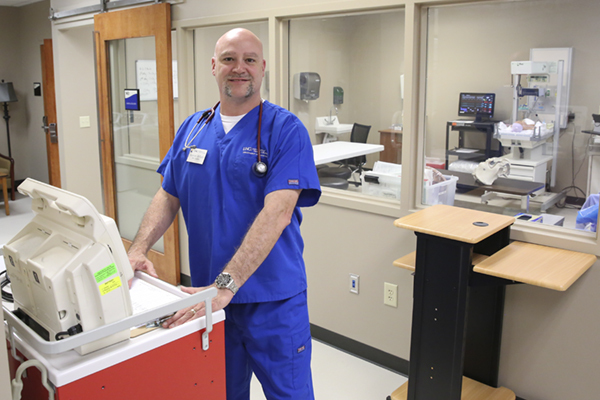 He uses his knowledge and passion for UNG to recruit students to the university. "When high school students look at visiting the college, we are the one who give them a tour," he said. But Bell doesn't simply focus on potential students and freshman. He also helps organize events for the student body through his work on the Nighthawk Entertainment board. The board is responsible for planning and executing several events such as the fall and spring jams. "We have a comic who comes, and we have a hypnotist who comes," he said, explaining the board helps set up and clean up the events. "We are the behind-the scenes kind of people." With all of that time devoted to extracurricular as well as maintaining a full-time class load, it's a wonder how Bell finds time to work part-time at the Rec Center at UNG. But he enjoys being involved with several elements of campus life. However, attending UNG for four years wasn't the original plan. He planned to stay for a year and then transfer. "The first semester after living in dorms and walking to class and seeing the same faces and meeting someone new every day, I fell in love with the community feel of UNG," he said. Now he is involved in several activities and leading similar freshman and potential students to the same conclusion. 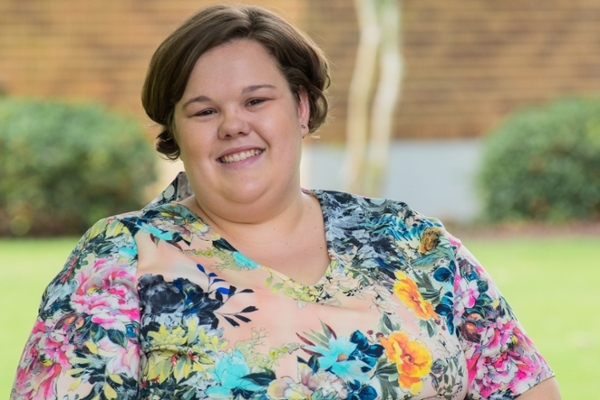 Courtney Hall served as an orientation leader prior to graduating because she "enjoyed helping new students find as much to love about UNG as I did." 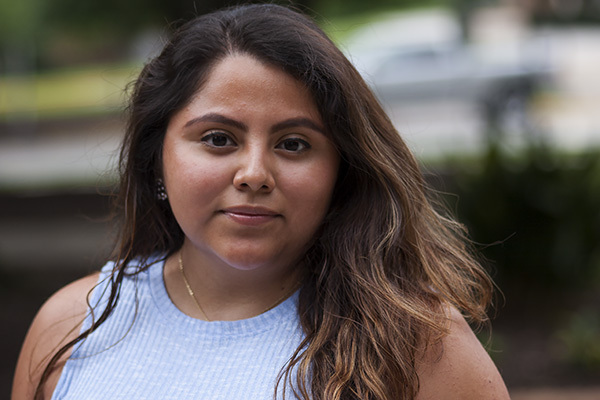 Cyndy Solis changed her plans as to where she would attend college, from Georgia Tech to the University of North Georgia (UNG); her major, from engineering to chemistry; volunteering changed her life. 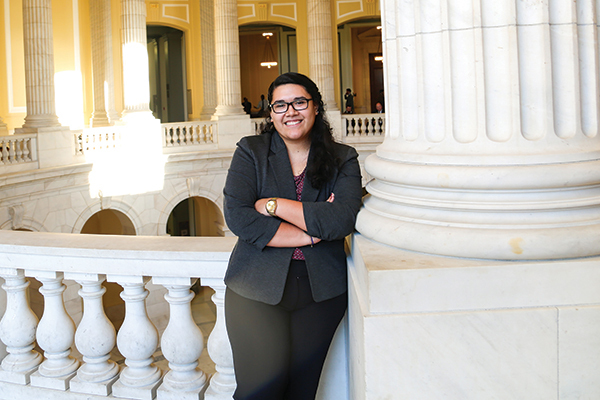 Alumna Yanet Velazquez of Gainesville, Georgia wanted to become a leader in the Latino community. 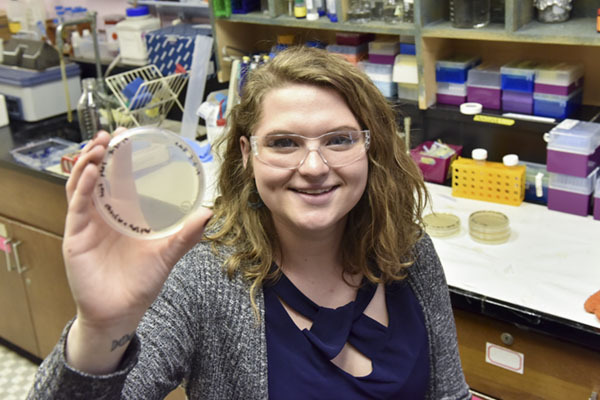 Academic success and research have been a major part of Caroline Brown's story at the University of North Georgia (UNG).